Everything that happens has already happened at some point or another in history. The tortured history of crises occurs because no one was paying attention the first time. It is eerie, though, how similar the growing currency crises in BRIC’s and emerging markets are to the Asian flu of 1997-98. Not even the Fed’s own banking system believes the emphasized portion. Dollar funding has been a problem for as long as QE 4 has been taking UST collateral away from global funding markets. The threat of tapering QE has begun to unwind unhealthy leverage built in dollar markets on nothing more than Bernanke’s 2012 promises. The Southeast Asian nations were the epicenter of the 1997 currency episode, and that was bad enough to trigger global re-allocation, including even a noticeable interruption of the US dot-com bubble. In 2013, we are talking about China, India and Brazil. Brazilian central bankers did not study nor learn from the Thai experience; they were not listening when history happened only sixteen years ago. I wrote about this back in May, but for different reasons. The Asian flu was a demonstration of what would happen under a dollar swap standard rather than a gold exchange standard. The accumulation of reserves is not protection against currency problems, they are the elements of instability themselves. In terms of the proximate currency problem in Thailand 1997, the Thai central bank did what the monetary textbook says to do. Unfortunately, economics and economists rarely understand finance, speculators in particular. To defend the baht, the Bank of Thailand sold dollars into the spot market and then engaged derivatives trades, dollar swaps, to protect their reserve stash. Swaps are off-balance sheet, so it appears as if the central bank action supplies needed dollars while keeping the local currency selling from hitting the market (and thus from pushing the value lower). But swaps, particularly when engaged with the “market” instead of with another coordinating central bank, actually fuel the currency’s demise. Because of the leverage obtainable in currency speculation, the only real means to reduce speculative selling pressure is to make the currency more expensive to short (since it must be borrowed, reduce the availability). Engaging in swaps, which amount to forward selling of dollar reserves, reduce the pressure on interest rates in the short-term funding markets. It’s like sterilizing the impact of selling dollars in the spot market – the central bank selling dollars buys the local currency, making it less available and thus theoretically driving up the cost to borrow it. If you pair the spot intervention with a swap/forward, you’ve given speculators a huge alternative access point to borrow/short your currency. This approach is favored in the orthodox textbook because it is believed to be effective at guarding the currency value while keeping the local economy from collapsing due to a sharp rise in short-term local currency interest rates. The problem, from the local currency perspective, is that high short-term rates are the only effective solution against speculation. The second problem with this textbook approach is that those swaps do not remain off the books for long. The swap/forwards have a maturity, usually three to six months. So, at best, you’re only attempting to buy time for conditions to normalize. But they won’t because you’ve given speculators the very ammunition they need to attack your currency further. What the Banco do Brasil announced was a program to sell $500 million in currency swaps each day on Mondays through Thursdays. Then on Friday, the central bank will sell $1 billion on the spot market. Thailand’s 1997 program is reborn in South America. According IMF figures, the Brazilian central bank has $364 billion in foreign currency “reserves” (latest figures are for May 2013). Of those “reserves”, $345 billion are securities. If the above cited articles are accurate in their figures, we know that the Banco do Brasil already has engaged in about $46 billion in swaps, with the just-announced intention to do another $60 billion. So in a few months’ time, there will be about $100 billion in swaps maturing and hitting the books where the central bank will have to come up with dollars – meaning they will have to sell a massive amount of dollar-denominated securities or try to roll over the swaps without disrupting markets further.  For information on Alhambra Investment Partners’ money management services and global portfolio approach to capital preservation, contact us at: jhudak@alhambrapartners.com or 561-686-6844 . You can also book an appointment for a free, no-obligation consultation using our contact form.